Prof. Pérez-Ramírez (1974) pursues the design of heterogeneous catalysts and reactor concepts devoted to sustainable technologies. The latter secures the efficient utilization of natural resources, the transition to renewables, reduced energy consumption and waste, and minimized environmental impact. Topics of current interest include natural gas functionalization, carbon dioxide valorization, biomass to chemicals and fuels, the manufacture of specialty chemicals, and the rational understanding of catalyst scale up. He is responsible for educating undergraduate students at ETH Zurich in reaction engineering and catalysis, emphasizing the vital importance of these disciplines to tackle the current and future energy and environmental challenges of society. Catalyst and reactor design for the halogen-mediated functionalization of natural gas constituents and for their further conversion into valuable products. Design of nanostructured catalysts based on earth-abundant materials for electroreduction of CO2 into liquid and gaseous products aiming at the implementation in (photo)electrochemical devices. Development of metal (oxide) catalysts and reactor concepts for the selective hydrogenation of CO2 to methanol, higher alcohols, and formic acid, which serve as chemical intermediates, fuels, fuel additives, and hydrogen carriers. Design of sustainable chemocatalytic processes for the conversion of renewables into valuable products. This includes the upgrading of a wide range of bio-based compounds (crude bio-oil, hemicellulose, monosaccharides, sugar-derived platforms, and glycerol) to chemicals, polymer building blocks, and transportation fuels over acid-base, redox, or bifunctional materials. Development of spectroscopy, microscopy, and tomography methods applied during the preparation and operation of heterogeneous catalysts to establish synthesis-structure-activity relations in the targeted catalytic processes. Particular emphasis is placed on understanding the evolution and impact of physical and chemical properties within multicomponent materials with technical geometries, aiming to rationalize the scale up and ultimately maximize the performance in industrial reactors. This involves frequent cooperation with ScopeM and neutron/synchrotron facilities. Development of advanced tools, including positron annihilation lifetime spectroscopy, scanning gas sorption techniques, and microscopy methods, to quantitatively assess the complex pore architecture in hierarchically-structured materials, such as zeolites, carbons, and clays. Precision design of active single atomic centers or ensembles in heterogeneous catalysts. This is approached through the stabilization of metal atoms on versatile carriers as carbon nitride, controlling the defect chemistry of metal oxides, and the development of tailored acid, base, and redox centers in micro-/mesoporous materials. Design of size- and shape-controlled metal (oxide) nanoparticles for the selective hydrogenation of functionalized substrates. This also includes the modification of metal nanoparticles with ligands to alter the activity and selectivity patterns via electronic/geometric effects. Halogen production, oxyhalogenation of alkenes and alkanes, hydrochlorination, and hydrodehalogenation processes relevant for natural gas functionalization and polymer manufacture. Our current projects are sponsored by ETH Zurich, the Swiss National Science Foundation, the European Union, and industrial partners including Covestro, Total, DSM, and Micromeritics. Prof. Pérez-Ramírez has been active for 20 years (including a 4-year PhD period and 3 years in industry) in the discovery and understanding of heterogeneous catalysts and reactor concepts devoted to sustainable technologies for the production of chemicals and fuels. 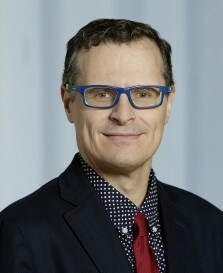 He currently heads the group of Advanced Catalysis Engineering (aCe) at ETH Zurich, which works at the interfaces of chemistry, chemical engineering, and materials science and is internationally renowned for the design of novel catalytic materials amenable to industrial implementation. In the period 2013-2018, aCe has made notable accomplishments in challenging timely fields including the valorization of carbon dioxide, natural gas, and renewables, the design of single-atom catalysts, the analysis of pore quality in hierarchically-organized materials, and the development of other novel catalytic systems for various transformations of current and future relevance. Read more.